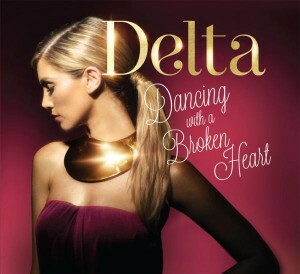 The cover has this afternoon broken on Delta Goodrem’s new single ‘Dancing With A Broken Heart’. The track, which was serviced late last week, is the follow-up to her double platinum selling single ‘Sitting On Top Of The World’ and is the second to be lifted from new album ‘Child Of The Universe’, due later this year. The track was originally due to premiere at digital retail tomorrow, but its release has since been pushed back by one week. It’ll now drop on Friday August 10.